Order up a frothy brew and grab yourself a bidding paddle. 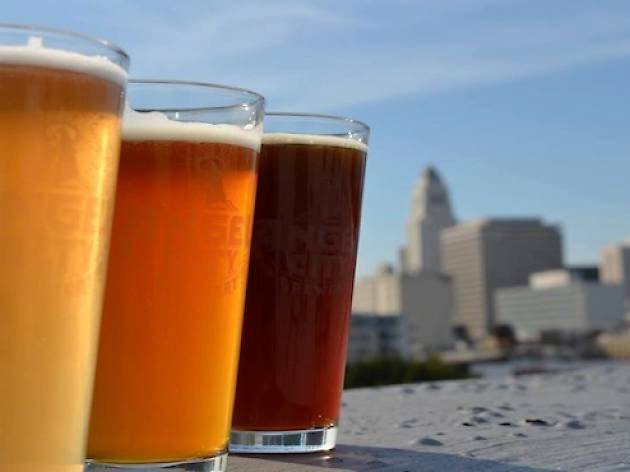 This Saturday, DTLA's favorite place to guzzle craft beer, Angel City Brewery, will kick off its "Over a Barrel" exhibit with an open house and auction. This is how it works: six local Downtown artists were given Angel City oak barrel tops as a canvas to create special art pieces. At the July 20 event, you and your buddies will chow down on street tacos and enjoy live tunes, while bidding on the six pieces to benefit Free Arts, an LA-based non-profit geared towards helping children in need through creative art programs. 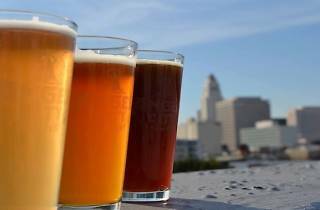 You'll want to drink up at the event too—the Brewery will add a percentage of their beer sales for the day to the Free Arts pile. By the end of the night, you'll feel simply drunk with good karma.